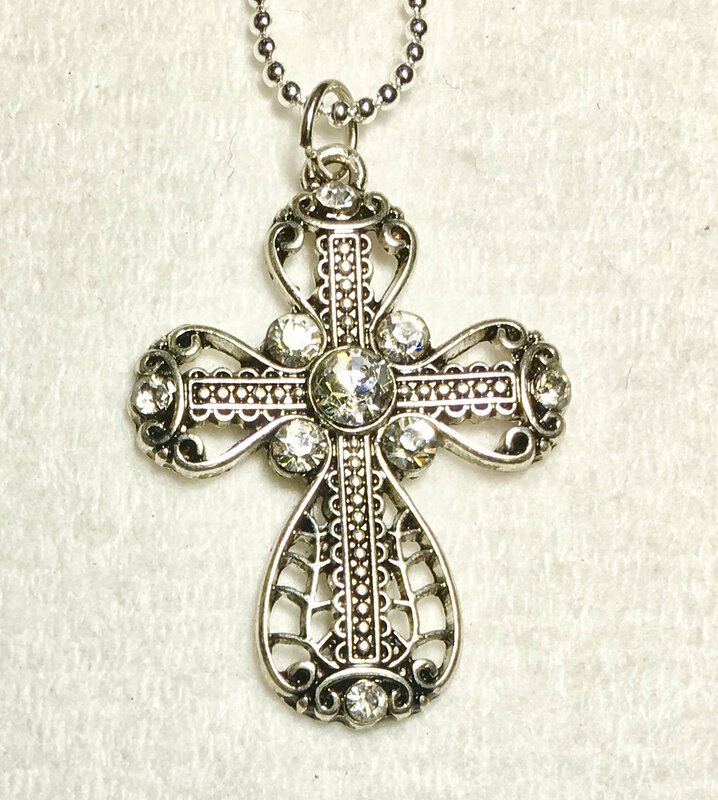 Fabulous Silver tone Antique Filigree Cross Necklace with Outstanding 5 Crystal Rhinestones. Attractive dimensional design. 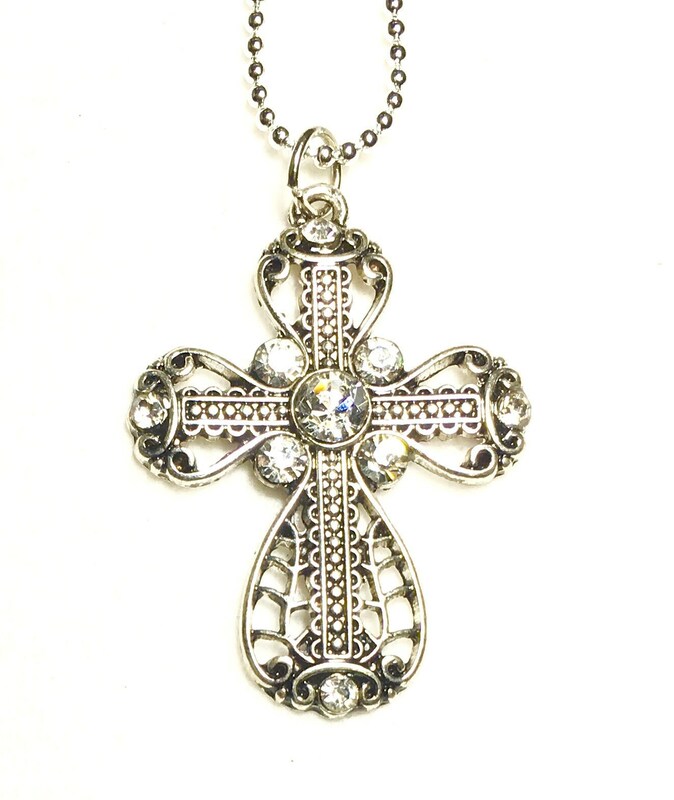 Comes with a flexible 18" plated adjustable bead chain with positive locking lobster clasp. Pendant measures 1" wide x 1 1/4" long.